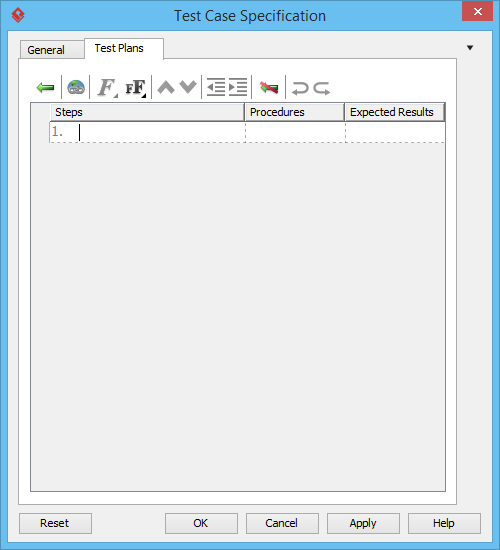 How to Create Test Cases for SysML Requirement? Current: How to Create Test Cases for SysML Requirement? SysML Requirement diagram is a useful tool for recording, describing and organization both functional and non-functional requirements of a system. In addition, you can describe how the requirements will be verified with test cases. 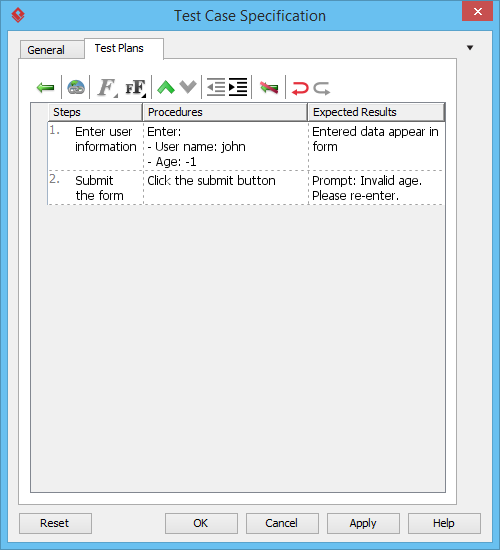 In this tutorial, we will create a SysML requirement, and then add test cases for validation. Finally, we will walk you through the steps required to produce a report of requirements. Select Project > New from the application toolbar. 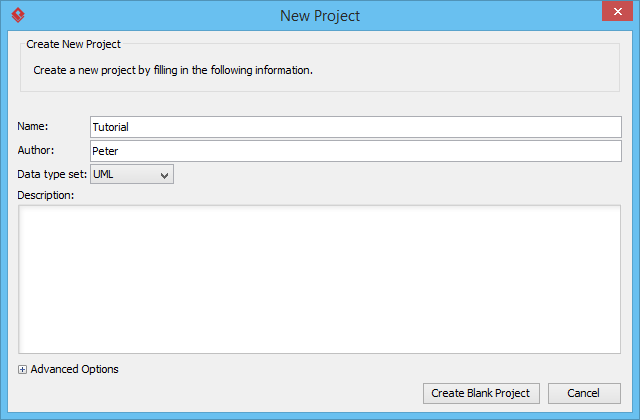 In the New Project window, enter Tutorial as Name. Create a SysML requirement diagram first. 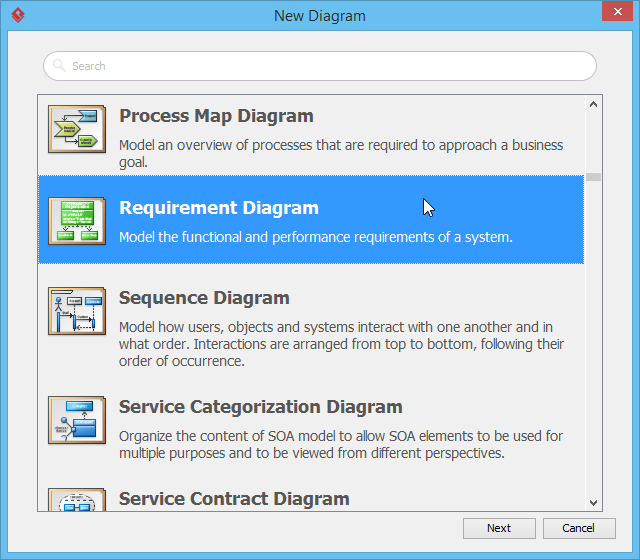 You can create a requirement diagram by selecting Diagram > New from the application toolbar. 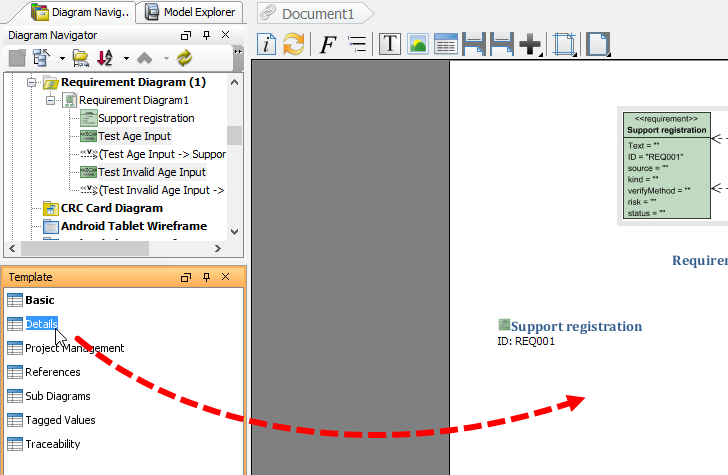 Select Requirement Diagram in the New Diagram window and then click Next. Click OK again to create the diagram. Click a requirement Support registration. Let's create some test cases for the requirement Support registration. Move your mouse pointer over the requirement. Press on the Resource Catalog icon and drag it out. Release the mouse button. Select Verify <- Test Case from Resource Catalog. In addition to having a named test case shape, you can define the steps to test as well. Open the specification by right clicking on test case Test Age Input and selecting Open Specification... from the popup menu. Open the tab Test Plans. There are three columns. The Steps column defines a set of steps to test the requirement in a more general angle. The Procedures column defines also the steps, but in a more concrete manner by providing also test data. The Expected Results column is the result expected to achieve by walking through the defined procedures. Create another test case to test invalid age input. Repeat the previous steps to create test case Test Invalid Age Input from requirement Registration Form. Submit the form Click the submit button Prompt: Invalid age. Please re-enter. 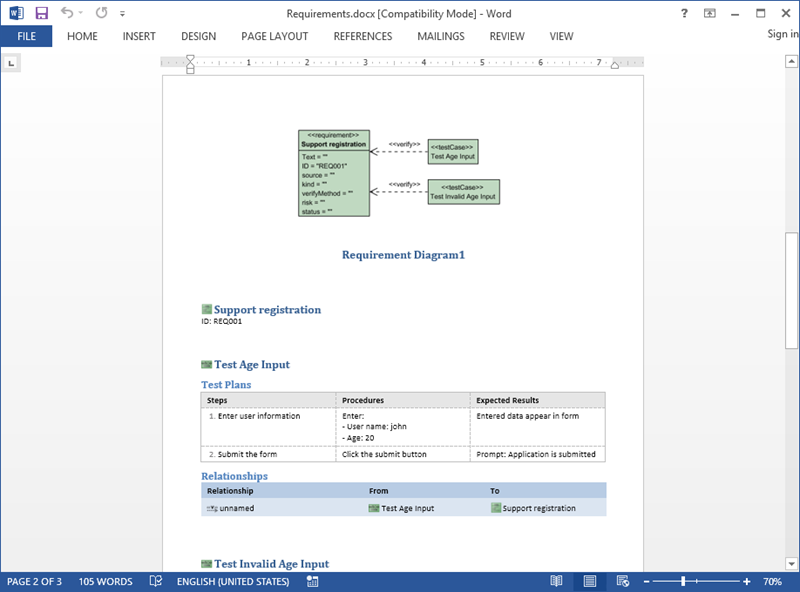 In this section you are going to produce a Word document that contains the details of requirements and test cases. 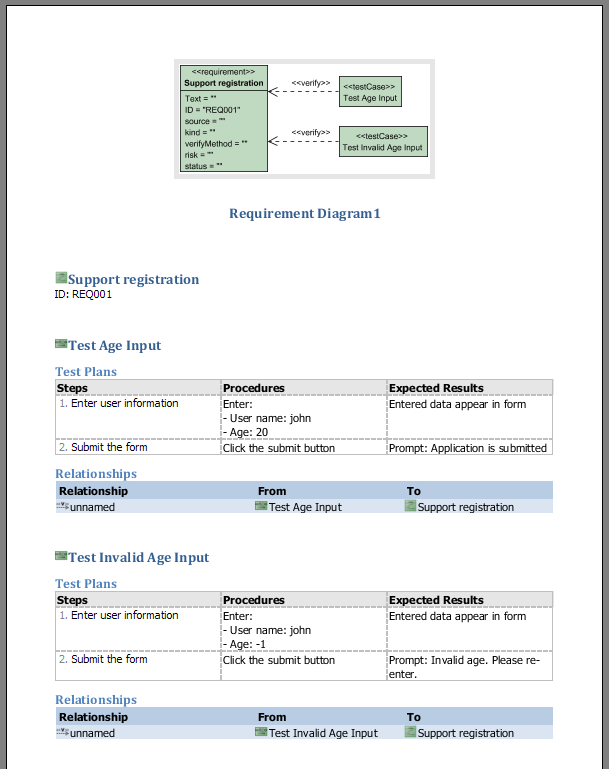 Find the requirement diagram in Diagram Navigator. Press on the diagram and drag it onto the document. 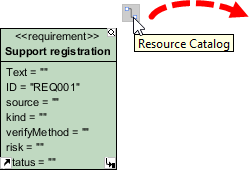 Press on the requirement Support registration in Diagram Navigator and then drag it onto the document. 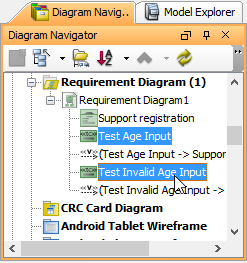 Select the two test cases in Diagram Navigator. Select the Details template under the Template pane and then drag it onto the document. 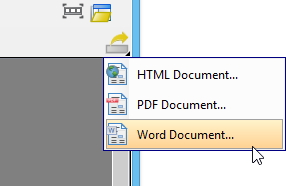 Click on Export > Word Document... at the top right of Doc. Composer. In the Export Word Doc. 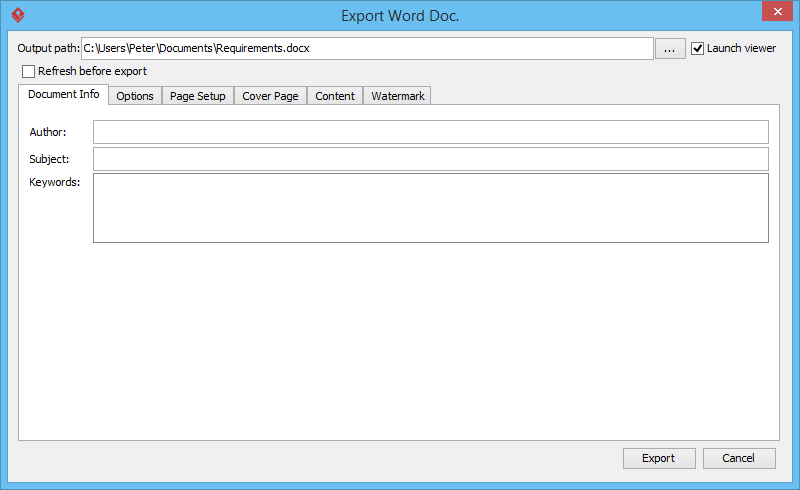 window, provide the output path of the .docx file to be exported and then click Export at bottom right. Save the project. This is the end of the tutorial.